As you know, we've a professional website development company with more than 10+ years of experience. 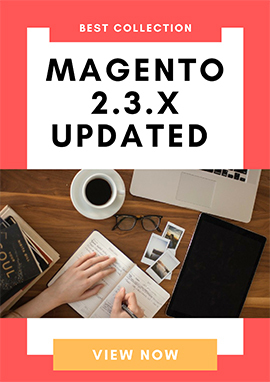 We provide website templates/themes powered by robust platforms and sell them on our websites and ThemeForest. 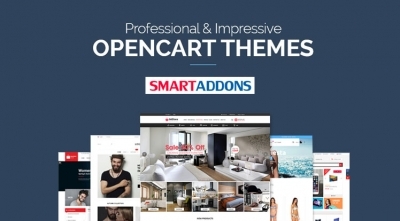 In 2018, we have officially run a new project for OpenCart themes which is provided on SmartAddons.com site. We would like to wish all our American friends a Happy Independence Day! 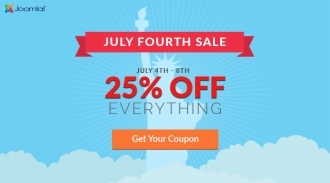 To celebrate this day, SmartAddons would like to offer you a big discount - 25% OFF on everything from single purchase to memberships and renewals. This offer is valid from 4th to 8th July, 2017. To say a big thank to everyone for joining SmartAddons community and becoming one of us, we're really exciting to offer a major discount - 40% OFF on everything from single purchase to memberships and renewals. This super promotion will run for 10 days from 16th to 25th May. Thanks a lot for joining SmartAddons community and becoming one of us - people who eat, breath and can't live without Joomla. Our members are important to us, and that's why we always want to do our best to give you hi-quality products and dedicated support. In the upcoming months, we'll have some changes and improvements to serve you better, hope you'll like it. 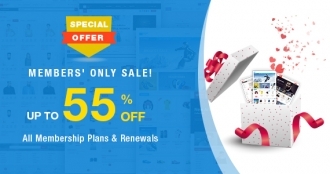 To encourage new and existing members to join and renew membership clubs, from Now to 29 May, SmartAddons is offering major discounts on membership and renewals fees of up to 55%.This is a very-special event . So don't miss out!